In one of three all-seeded third round clashes at the Miami Open on Saturday, Elina Svitolina and Caroline Wozniacki will play each other for the first time on the WTA tour. Both players fought back from a break down in the first set of their opening round matches in Miami before progressing in straight sets. Svitolina was down 0-2* to Shuai Zhang before zoning into action, winning 12 of the last 13 games to prevai, 6-3 6-0. There were a few tight moments early on but Svitolina won all the key points; an ace at *2-3 *30-30 helped her on the way to 3-3 and then some decent depth and movement extracted three errors wide from Zhang to secure the break. Svitolina didn’t look back from there, breaking again with some positive play to win the first set, 6-3. The first two games of the second set went to deuce and Svitolina won them both, effectively ending Zhang’s challenge. It took Svitolina six break points but she finally converted to go up *2-0 and then flew through the final four games, dropping just four more points and closing out the match on a backhand winner. It was a smart performance from Svitolina who kept getting one more ball back into play, but also wasn’t afraid to go for her shots, hitting a handful of aggressive returns. Wozniacki defeated Vania King, 7-5 6-2 out on court 1. It was a decent quality first set and King played some wonderful points. The 27-year-old American, who missed almost a year on tour between 2014 and 2015 due to injury, has an aggressive all-court game that is easy on the eye. After saving a break point midway through the first set, King broke Wozniacki to love; the American played one exquisite drop shot before Wozniacki double faulted on break point. However King’s game wasn’t quite polished enough when it really mattered in the crucial moments. Wozniacki broke straight back and then again to win the set, 7-5; King played a poor final game that included a drop shot into the net, a double fault and a volley into the net. Overall, it was a solid showing from Wozniacki although her recent woes at closing out matches did pop up again as she failed to serve out the match up 7-5 *5-1, chucking in a double fault. Wozniacki broke for the win in the next game… and a very welcome win after the past few weeks. Interesting stat: .For Wozniacki, it’s been a dire start to the year. Her last five losses have all come against players ranked outside of the world’s top 65… Yulia Putintseva (Australian Open, R1), Dominika Cibulkova (St. Petersburg, R2), Elena Vesnina (Doha, R3), Heather Watson (Monterrey, QF) and Shuai Zhang (Indian Wells, R2). For Svitolina, her results have improved in the last month; she has a 5-1 W-L record in three set matches with her only three set loss in 2016 coming against Angelique Kerber in Sydney. Final thoughts: While Wozniacki is currently struggling, I do still believe she will find her mojo again… it may not necessarily be this year, but I think it’s still there. Tennis is a funny game and so much can change in such a short space of time. A good example is Radwanska who, at this stage of 2015, was falling like a stone in the rankings, but look at how that turned around… back to this match and expect long rallies, LOTS OF THEM! March 25, 2016 in Miami, Svitolina, Wozniacki, WTA. It would be another big win for Svitolina if she can beat Wozniacki, despite Caroline being ranked lower. Elina isn’t too far outside the top ten right now and yet it doesnt feel like shes ever really made a massive splash in a big event. A new gen pusher princess will dethrone the old gen pusher queen. exactly. she’s awful and has no offensive weapons. she’s just a backboard for the other players. 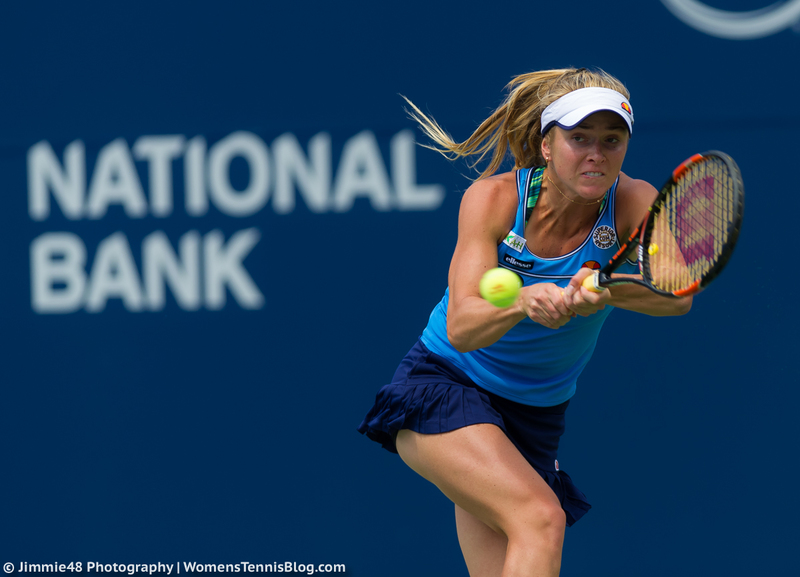 Svitolina IS capable of offensive play. She’s got a potent forehand that she can dictate with. Wozniacki tends to react to her opponent but Elina is more like Radwanska in the sense that its her who constructs the point. Agree that Svitolina is capable of being offensive, she showed that vs. Zhang. She does seem to go into her shell though in the key moments of matches. I’ve actually warmed to her in the last year and this is a big match! I was referring to Wozniacki. NO offense.